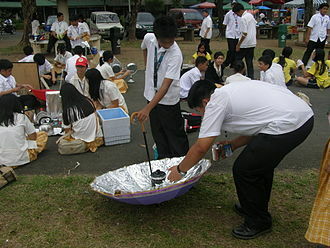 Solar Ovens are becoming the number one most popular survival tool available today. Camp stoves require fuel, gas or propane, and you can run out. They use the energy from the sun and you not only save money, you help save the environment, The USFA’s National Fire Data Center estimates that outside grills cause more than 6,000 fires, over 5 fatalities, more than 170 injuries, and $35 million in property loss per year. Gas grills alone cause over 2,700 fires, 80 injuries, and $11 million damage. Most of the gas grill fires and explosions were caused by gas leaks, blocked tubes, and overfilled propane tanks. 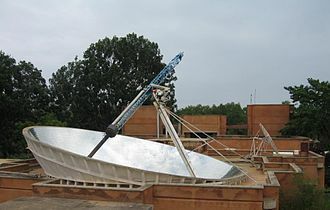 Solar ovens are safe as there are no burning charcoal or exposed open flames used as a heat source. No gas, no flames, no danger! Not only are there zero emissions, we have found the sun oven to be very forgiving. You will find you can cook at a higher temperature with less time or a lower temperature with more time. Meat cooked in this appliance is more moist and flavorful than with a conventional oven, and there is no fuel cost. For dry camping in our motor home, this oven is a must. When we are not using the oven for other things, but wish to keep it available, we place a black tea kettle of water inside which also provides us with extra hot water. Anything that is baked in a conventional oven can be cooked in a sun oven in the same amount of time. Even so, just remember these ovens come in many sizes and are made from many different materials. Prices range from as little as $37 to as much as $700. Some of the cheaper units barely reach a maximum temperature of 250ºF, which is not adequate for cooking meat. Meat is only safe above 250ºF, where no bacterial overgrowth is possible. 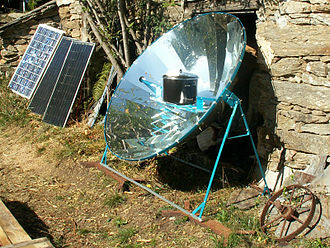 When researching solar ovens, you will discover that most solar ovens selling for $200 or more will reach 275-300ºF. Be sure to take your time and weigh all of the benefits and features, such as ease of set-up, storage, weight, durability of materials used. And remember that cheaper does not mean better. The sun is the most enjoyable renewable of all known cooking fuels. It rises every morning and is free. Sun ovens enable the sun to bake, boil, and steam a wide variety of food while enhancing the taste and benefiting the environment. Thousands of people in the U.S. and around the world have discovered the benefits of cooking with a solar. Vegetarian dishes come out sweet, nutritious, and delicious in a solar oven! Temperatures rise slowly and evenly, unlike a conventional oven. 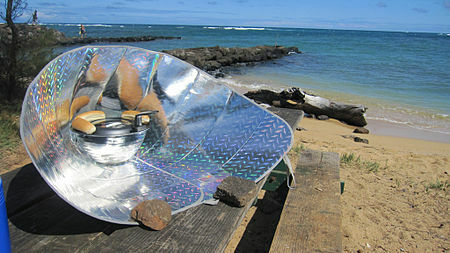 A solar oven is perfect for cooking legume, grain and vegetable-based dishes. You can cook anything in these ovens that you cook in a moderate oven (~225 to 350 degrees), or in a slow cooker, and it is perfect for baking whole-grain breads and cakes, roasting vegetables, and simmering casseroles. Breads and cakes come out moist and fluffy. Cooking in a solar oven is easy, fun, natural, and nutritious, while helping the environment. It is ideal for everyday use in your back yard, at picnics, while camping, or in the event of a power failure. They can help keep your house cool in the summer by keeping the heat from cooking outside. Even though it is called an oven, food can be baked, boiled, and steamed at cooking temperatures of 360° F to 400° F. There is no movement of air in a solar oven, allowing food to stay moist and tender and flavorful. Sun-baked roasts are tastier and more succulent, and sun-baked bread has unparalleled taste and texture. Temperatures in a solar oven rise slowly and evenly, allowing complex carbohydrates time to break down into simple sugars, emanating subtle natural flavors. The even temperature of the solar oven prevents burning, so you do not need to stir your food while it is cooking. Solar ovens are safe and cannot cause a fire. There are two ways to cook in a solar oven. If you refocus the oven to follow the sun every 25 to 30 minutes, cooking times and methods will be very similar to cooking with a conventional stove or oven. Or it can be used for slow cooking, much like a crock-pot. You can prepare your dinner, put it in the solar oven, point the oven where the sun will be approximately halfway through the time you will be gone. Leave the oven, and come home to a tasty, slow-cooked dinner. 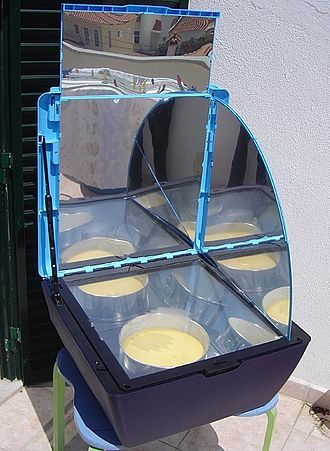 If you run late, there is no need to worry; the solar oven will keep your food warm, moist, and fresh for hours.